Edwin Snelgrove was survived by four brothers and two sisters as well as his daughter Shirley. Martha Moore lived in Hartford and was survived by two daughters, a son and her husband Walter. ...her water broke and a few hours later my uncle was born! When I was a kid in the 1970s, I remember begging my grandparents (who raised my brother and I) to take us to the circus. As much as we begged they never would. I found out later, as a young adult, that my grandparents (Eleanor and Edwin J. Heck) had taken my dad (Edwin A. Heck) to the circus that fateful day. Thankfully they survived (or I wouldn't be here today!) and in fact, my uncle (Robert Heck) was born that night! My grandparents were sitting in the bleachers. My grandfather jumped down first and took my dad from my grandmother. When my grandmother jumped down from the bleachers, her water broke and a few hours later my uncle was born! Sadly, the only one still alive is my uncle, who of course has no memory of that afternoon. All of my family was born and raised in Rockville (now Vernon-Rockville) Connecticut. My grandmother would tell us bits and pieces of that day, but you could tell it was difficult for her to remember without becoming very emotional about it. I wish I had taped an interview about it with her before she passed away. I recall her telling us about the lions, and the fact that they had just finished performing. I'm not sure my dad recalled much from that day - he was 4 years old in 1944. He never talked about it to my brother or I. I always wanted to ask him about it, but never did, as I was afraid he didn't want to remember that day. Now I wish I had at least tried to get him to talk about it. After I sent this note I asked my uncle (Robert) if he recalled my grandparents ever talking about this day. Interestingly, he told me "did you know your grandfather was a hero that day?" Apparently my grandfather, worked at a woolen mill at the time, and always carried a knife with him to cut the yarn from the bobbins. My Grandparents, my father and my soon-to-be-born uncle escaped because my grandfather had his knife with him that day, and cut a slit in the canvas of the tent. I've seen several comments on various sites about people escaping because someone had cut a slit in the tent - I wonder now if that was him. It would be great to think he was a hero that day. ...while they were deciding if they should go they turned on the radio. My aunt and father were to take me to the circus on that day in 1944. We had driven to my aunts home and were to car pool to the circus, however, my aunt had a headache, and while they were deciding if they should go they turned on the radio. I can still see that radio on top of the refrigerator. The fire was reported on the radio. While at school I learned that a classmate had lost his mother and sister. ...was severely burned and was hospitalized. And here is a link to the essay Terror! Terror!, written by Rosyln Berkowitz Stein in 1959, fifteen years after her experience at the fire. I found your website and appreciate all you’ve done. I too was at the circus like the other survivors. My dad and mom took me, along with a doctor’s friend wife Dolly and her son. We had reserved seating and were sitting in the folding chairs in towards the end where the fire started. I was 4 ½ years old and remember looking back and seeing the flames burning up the sides of the tent and my dad very calmly leading us to the opposite end of the tent because the exits next to us were blocked. I remember a large man with red or blonde hair with a large pail of popcorn and large drink under his arm come falling out of his folding seat with the popcorn flying everywhere. My dad knew we needed to go to the opposite end of the area of the fire due to the chaos. He saved our lives with his quick thinking. I remember that the babysitter who was at home with my little brother, told my brother that we all had died after she heard about the fire. My brother does not remember that. (thank goodness). It is funny how I can remember the man falling and the popcorn flying, walking out of the tent, but not remembering seeing it all burn after getting outside. My dad however was not the type to hang around and watch things like that. We were from New Britain, CT, at the time. My dad was a radiologist there in New Britain. He was covering the practices for two doctor friends of his who were serving in the Navy at the time. Dolly was one of their wives. I believe her last name was Bradley and they were from Bridgeport. I was young but heard about them all my life. I am not 100% certain on their names. They were going to bring their children the next day. 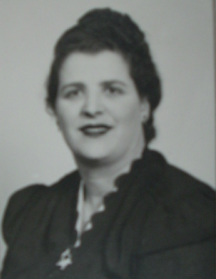 Thanks for this site, I just found out my sister-in-law's grandmother died in the fire, Anna Dimartino. Anna Dimartino went to the circus that day with her sister-in-law, Carmella Pistorio - she died too. They were going to bring their children the next day. This is a story about my Uncle Tony (Piacenta). He went to the circus that day with friends, but his parents didn't know he was there and so he left early to get home in time so he wouldn't get in trouble. He lives in Glastonbury. He found out about the fire the next day. I'm not sure if his parents ever found out about it. I'm needed and I'm going. 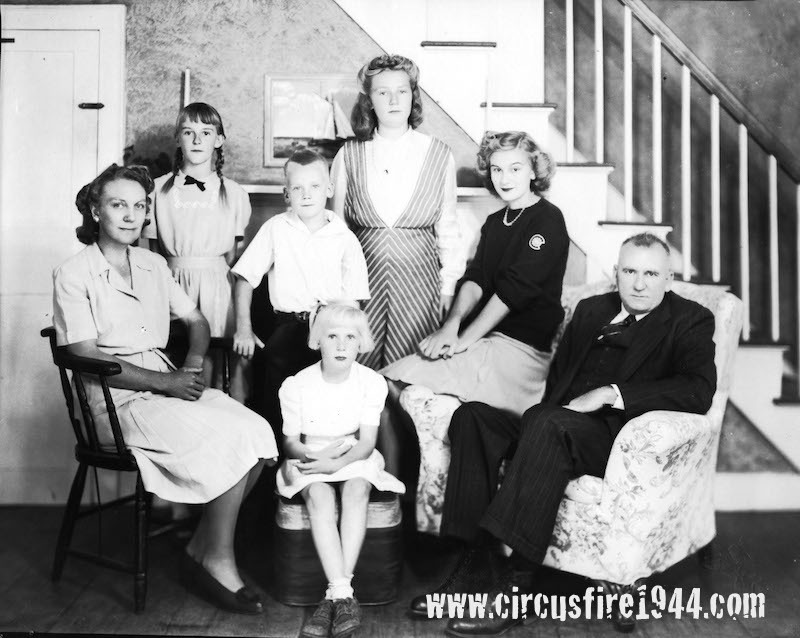 My mother and grandfather are connected to the circus fire. Mom had gone to the circus on July 5. The next day, she had a date with a sailor from Springfield MA. When he left, he told his mother that Mom and he were going to the circus. When she heard of the fire, she (understandably) panicked and called my grandmother who told her they'd gone to New York City instead. Grandpa worked for Pratt and Whitney in East Hartford. He'd been a security guard but poor health forced him to give it up. The company liked him and so created a clerical position in their fire department. When word reached P&W, he called my grandmother and said he was going over. She asked if he thought he should and he answered, "I'm needed and I'm going." (No doubt some of my Scottish stuborness comes from Grandpa - something of which I'm proud.) He came home late the evening of the 6th and this man, whose system could not tolerate alcohol, went to kitchen cupboard and took down a bottle of whiskey they kept for medicinal purposes. He poured a very stiff drink and downed it straight away, then poured another and similarly downed it. The rest of the evening he spent washing his hands to get rid of the smell of burned flesh. There's a second story about the fire, one that is never told let alone even known. It is about those who covered the fire for the four radio stations then in Hartford. Much of the following is from the article in an issue of Broadcasting Magazine that came out after the fire. At 2:41 p.m., Travelers Insurance vice-president H.P. Van Beynum saw from his office in the Travelers Tower, smoke in the North End of the city. He called WTIC news director Tom Eaton, in the adjacent 26 Grove Street studios. Eaton then made calls and learned from official sources that there was a fire at the circus grounds. Chief announcer Bernard "Bunny" Mullins and announcer George Bowe went to the scene in a WTIC remote truck. Once on the scene, they realized that a live broadcast would only add to the tension and perhaps create panic. Mullins and Bowe gathered information, then went to the temporary morgue at the State Armory. They returned to the station, which already was broadcasting emergency messages for police and fire officials, the Red Cross and other agencies. On the 6 p.m. newscast, sponsored by Shinola wax, they gave a very calm but factual account of what they had witnessed. Afterward, Bunny Mullins stated that he had not prepared the night's newscast because he truthfully did not feel like it. He then turned the rest of the program over to announcer Russ Dollar. WDRC, located in the penthouse of 750 Main Street, next to WTIC's building, sent its news director. He, too, refrained from broadcasting live and instead chose to give his impressions on the News Digest of the Air. WHTD, now WPOP, was located at 54 Pratt Street. It sent the news director, announcer Richard Bronson and another man to the fire scene. WTHT, in the Industrial Building at 983 Main Street, across from the G.Fox store, saw smoke from its top floor studios. According to "Fire", by Stewart O'Nan, they were carrying the Mutual radio Game of the Day between Detroit and Boston. Fenway Park was an advantage for the Sox, who were "tarring" the Tigers, as Mr. O'Nan wrote. The station's staff was debating whether to break into the game when Mutual aired a bulletin about the fire. The WTHT mobile unit was near the Connecticut River, close to the Hartford-Wethersfield line. As the late WTHT engineer, Roland LaLanne, related the story, he and the others with him had just crossed some train tracks on the way back to the truck, when they heard on the two-way radio one of the secretaries calling them. "WTHT truck, WTHT truck, come in!" She directed them to go to the scene, that the circus was on fire. I seem to recall that he alluded to the truck racing up Main Street, past the two buildings. Once at the scene, they decided to broadcast across the street from the circus grounds. They got permission to set up equipment on the front porch of a house directly opposite the scene. The lady allowed them to connect the remote equipment to her telephone junction box and the station went live not from the scene but across the street. Hartford's four stations dropped their regular program schedules and the normal competition, to cooperate completely with one another in order to bring all pertinent information of the tragedy to the public. Governor Baldwin broadcast live over WTIC and, I believe, WHTD, his statement(s) being read over the other two outlets. Mayor William Mortensen broadcast twice over WDRC and WTHT, at about 8 p.m. and again around 9:15. A WTHT engineer handled the technical details and the text of his messages were later read over WHTD and WTIC. There were no attempts at "firsts"; no "scoops", no attempts to beat out the other guy. Just pure and plain professionalism with the only goal being public service. I wish I had more information and more names. There is very little audio of that story; only a few minutes of WTIC's coverage exists. I would very much like to hear from anyone who may have been at a station that day and can provide more information. The story deserves to be preserved, and I am most curious to know more about "how it was." My mother, Theresa Viering Franz, 35 years old, and my brother, Richard Franz, 6, went to the Circus on July 6. They took the bus to get there. My father, Richard Franz, 41, joined them after he got out of work. Before my father showed up, my mother sat with her sister-in-law and nephew, Millie and Paul Viering. They were in a reserved seat area. At some point a Circus employee asked to see my mother's tickets. He told her she was in the wrong section. He directed her and my brother to move to an area of general seating, and they complied. According to my mother, the fire broke out right above that reserved area where my aunt and cousin were seated. Millie and Paul Viering are on the list of the deceased. My mother, brother, and father made it out alive. My mother and father described the scene as a stampede, with people pushed along and trampled by others trying to make it out of the burning tent. Later on, my mother and father returned to identify the dead bodies for my Uncle, Joe Viering. My father told me that there were verbal warnings before you went into the area where the bodies were held. It was gruesome, and some people who went to identify beloved family members broke down and were not able to do it. My brother Richard, now 72, lives with me. He has mental retardation, but he does remember some things about the Circus Fire. He says that the family lived in Wethersfield at the time. I was born 9 years later, and the family had moved to the South End of Hartford by then. I wish my parents were alive so that I could get more information from them, but they've been gone for over 25 years already. In my family we often sat around, talked and told stories. I had heard about the Circus Fire many times. I heard about the young cousin and aunt I would never get to know. Nellie, Mary, Charles, Elizabeth, Cora, Dorothy and Dr. Raymond H. Wallace. I was at the fire as a ten year old with a group of nine consisting of two mothers with their children. I fainted as we waited in the sweltering heat to buy our tickets. My mother took me outside where I recuperated. When we went into the tent, our group was sitting high in the bleachers. They moved further down for my benefit. After the fire started, I was mesmerized by it, until I felt the heel of my shoes being tugged from below. I looked around and saw my group was gone. It looked down and there was my Mother, who motioned for me to jump down to where she and the rest of our group were standing. We exited the tent where a man was slitting a hole in the tent. I wrote a story about our experience that was published in the,"Hartford Courant," at the time of the 50th Anniversary of the Fire. They paid me $250! Two of the boys were missing after the fire. One was found at the Brown School seven hours later. He was five years old. His father went through the morgue looking for him. The other boy had been taken in by a family in the area, and there he was standing on their front porch where his mother reunited with him. The older son saw a body placed in the trunk of a car. We all escaped, but the memories are never erased from the mind. Had my mother not been able to reach my heel, I probably would have been killed. It was indeed a gruesome day. My husband and I were at the Ground Breaking Ceremony for the Memorial, but could not be there for its dedication. We have since visited, found our donated bricks and walked the entire site. What amazed me was the size of the tent. It is a very well done Memorial. The large bronze disc my husband photographed. In viewing the photographs later, we found that the name of an Aunt of one of our Councilmen in Solana Beach was that of his kin, Elizabeth Roberts, who had perished in the fire. Elizabeth Wallace, Cora Wallace, Charles Wallace, Nellie Wallace, Elizabeth Bushnell, Ralph W. Bushnell, Frank Bushnell, and James Bushnell who 17 years later became my husband. Barbara Cook, John Cook, Wendell Cook and Mrs. Cook were friends at the circus, though not sitting with us. The oldest son, Wendell, wore glasses. The fire started directly behind them and raced over the top of the tent as they raced to get out with ash falling on them. Wendell fell and his glasses came off. With luck he retrieved them and was not trampled by the crowd. Many of these people have since died. Family friends from Storrs died in the fire. They were Elizabeth Putnam the mother and her daughter 5 year old Mary Putnam. They are buried in the Storrs Cemetery. The funeral was delayed for hours when the identity of Mary was not certain. In those war years women took on men's jobs. The Motto was, "Lucky Strike Goes to War." The daughter, Elizabeth Putnam was working in the tobacco fields in Bolton along with other 15 year old girls including my sister Dorothy. Elizabeth had a premonition that something bad had happened to her mother and tried repeatedly to call home. Later that evening she heard the terrible news from her father.